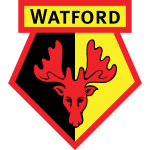 Watford vs Arsenal predictions for Monday night’s Premier League clash at Vicarage Road. Arsenal hope to push into the Premier League top four when they face Watford on Monday. Read on for all our free predictions and betting tips. They booked their place in the FA Cup Final with a stunning comeback against Wolves at Wembley, and despite the demands of their cup run they are still in with a good chance of finishing 7th in the Premier League. The Hornets last league outing was a 4-1 demolition of Fulham to relegate the Cottagers, putting Javi Gracia’s side 10th in the table and just a point behind 7th place Leicester. They may have lost three of their last five in the league, but defeats away to Manchester United, Manchester City, and Liverpool can hardly be held against them. Vicarage Road has been turned into a bit of a fortress lately too, with that win over Fulham making it five league games without defeat there. 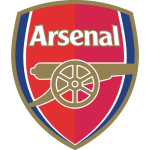 On Monday they face an Arsenal side that have improved under Unai Emery, but still harbour some worrying problems.